Check Out Clara’s Awesome Giveaway! Hey guys! Click the link below to check out Clara’s AWESOME blogger box giveaway! Hey guys! I’ve been promising this review for a while, and since Tenney is being retired, I thought this would be the perfect time to do it (so you can purchase this adorable outfit before it’s gone)! This outfit is so precious, and when I saw it in Dallas I knew I should buy it. It looks like a country rockstar, Taylor Swift-esque sort of ensemble – if that makes any sense. The shirt is BEAUTIFUL – maybe my favorite part of the entire outfit. My only complaint is that anything with Velcro sticks to this shirt, and when you unattach it, the lace will come apart a little in that spot. Make sure you always close the Velcro, because the shirt will stick to itself too. But other than that, it’s perfect. I love 3/4 sleeves like these, and like the ones on Grace’s baking outfit. (There was no individual picture of the skirt). The skirt is beautiful, just like the shirt, and it also looks great with Grace’s baking outfit (I guess the outfits are similar?) because it’s the same color as the leggings from that set. I love the glitter on it. It’s a bit short, though, and it would be nice if it was about one or two inches longer. The boots are VERY sparkly, as you can see. They seem sort of Our Generation and not AG, however, but that’s my only complaint about them. You would think that with this outfit, some nice, pink flats would be in order, but no. The cowgirl boots are awesome. The headband is super cute – you can see the stitching on the stars, though, and it does look kind of cheaply made. But it does tie the outfit together, and it’s a great 4th-of-July accessory, too. To see a photoshoot of Crystal in this outfit, click here. Have a great rest of your week, guys! I’ll see you back here on Monday. Check out AKJaguar’s awesome giveaway/collab! Hello everybody! I’m Miss Mary, hostess of the Mary Show! This week there will be no showing of the Mary Show because *whispers* I have *yells* TWENTY-ONE FOLLOWERS!!!!!!!!!!!!!!!!!!! Congratulations on getting 20 total follows on Jaguar’s Blog! Your current tally is 21. Oh yikes. Now I told everybody that when I have twenty followers that they would appear in a guest showing of the Mary Show. I intend to deliver. So, if YOU would like to be featured next week, or the week after, comment below. If you would like an extra entry, reblog this post. OK? Good. Because I will email the candidate who won, and NO ONE will know until NEXT Saturday. As part of winning this GRAND adventure, you will also recieve an EXCLUSIVE ‘I Was a Guest on The Mary Show’ poster that I will not show here because someone will steal it. Guys, check out this amazing giveaway Jewel is doing! Hey guys, what’s up? I am taking a break today from Travels With Grace to bring you a post anyone with an AG doll can relate to. I have seen this idea a lot on YouTube but I know not everyone is allowed to watch it, so enjoy! #1: Aren’t you a little OLD for dolls? #2: Your dolls look like they’re staring into my soul . . .
#3: Why would anyone spend so much money on a doll? I feel like this is just rude. It’s basically saying “Why would you spend so much money on a house/car/piece of jewelry?” It’s my money. I earned it, and I will spend it as I please. #4: You have a DOLL blog/YT channel? I’ve never heard of those . . . I get this one ALL the time. Apparently, no one has heard that popular YT channels like Mixiepixie7 get ASKED by AG to do GOTY sneak peek videos . . . or invited to do meetups at the AG stores. It’s a real thing, people. #5: And those are a thing? Um . . . yes. Trust me. 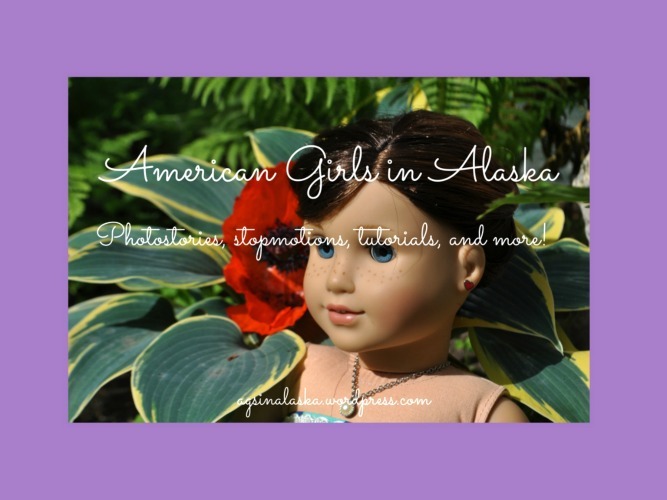 Google “AG doll blog,” or “AG stopmotion,” and you will get thousands of results.